Once again, BP Trinidad and Tobago (bpTT) is teaming up with the trinidad+tobago film festival (ttff) to give five (5) young people an opportunity of a lifetime, through the bpTT Youth Jury at ttff/18. Application is open to young people between the ages of 16 to 21 years (inclusive) who are interested in, and wish to develop, a critical appreciation of independent film. Applicants must be TT citizens, residents, or based in Trinidad and Tobago for at least one year prior to application. Prospective jury members must apply by writing an essay of no more than 250 words, saying what their favourite movie is and why. Applicants must also provide their name, date of birth, gender, citizenship, residence and school or occupation. Applications should be sent to: submit@ttfilmfestival.com (subject line: Youth Jury Application) Successful applicants under the age of 18 years will be required to have written consent from a parent or guardian in order to participate in this programme. The deadline for submission is 12pm on Friday 13 July. Successful jury members will be notified by Friday 24 August. The five selected jury members will meet during the ttff/18, under the guidance of experienced film critic B.C. Pires, to view a selection of feature-length fiction films dealing with themes and issues affecting young people. 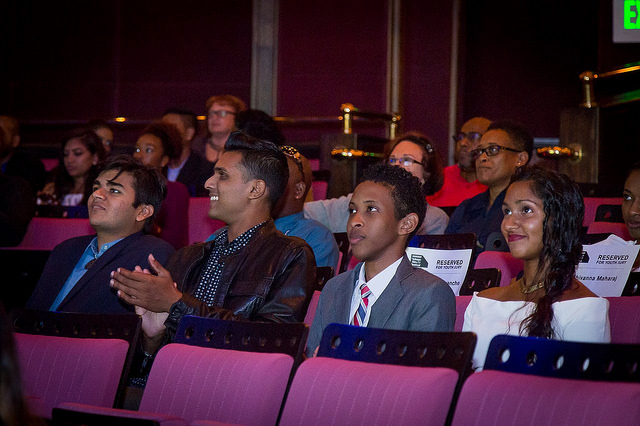 After viewing all the films in competition, the bpTT Youth Jury will choose the winning film. The director of this film will receive a trophy to be presented at the ttff/18 awards ceremony on Tuesday 25 September.